Chatham Projects is a boutique property developer with years of experience in the property industry. We specialise in delivering luxury homes by creating beautiful and functional homes. 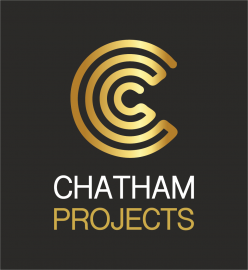 Chatham Projects are excited to collaborate with you and join you in your property journey. We offer stylish and smart designs which appeal to all tastes with a focus on obtaining the best result for the client and end buyer. We build for the market but design for the home. Our favourite class of property. 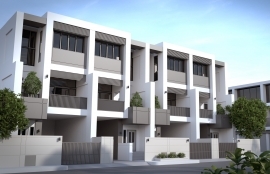 We believe this is the future of residential property in Australia. It combines Design, Space, Value and Modern Convenience and serves the community on so many levels. We believe with the right team, this class of property can be the solution to affordable housing in Australia. With our proven system, building multiple units doesn't mean decrease quality of the end product. This was a special project that required macro management and organised planning. After consulting with the client the project was broken into three phases; renovation, revaluation, construction. As developers, we are very sensitive to the financial constraints of our clients and plan accordingly so they can achieve the best result. 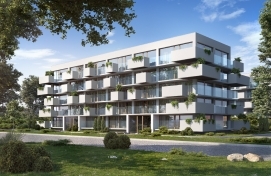 In this LIVE PROJECT we are planning on maximising this R3 site for townhouse development. With our amazing professional team we will have an outcome 50% greater than adjacent projects to the property. Utilising innovative design, we will be submitting plans for 6 townhouses versus the 4 townhouses proposed on an adjacent identical block. Never underestimate what the right team can achieve for you. If you're interested in sharing ideas, investing with us or want to chat over a coffee please fill in the form - we would love to hear from you. No responsibility is accepted by Chatham Projects for the accuracy of any information contained herein or for any action taken in reliance thereon. Prospective purchasers should make their own enquiries to satisfy themselves on all aspects. Details contained herein do not constitute any representation by the vendor or by the agent and are excluded from any contract. Artists impressions are indicative only and are subject to change without notice. Chatham Projects applies the highest standards of ethics and professionalism in providing services to our valued clients. We conduct our business in accordance with all relevant statutory requirements. At the company we are committed to protecting your privacy and ensuring that your personal information is protected, consistent with the National Privacy Principles of the Commonwealth Privacy Act (1988). There are 10 National Privacy Principles under the Privacy Act. These set standards for protecting the privacy of all individuals in their dealings with corporations. Your personal information includes details such as name, date of birth and contact details (such as phone and fax numbers, e-mail address). Sensitive information comprises personal details that may be used inappropriately. The recording of such information has stricter requirements than other types of personal information. Examples of sensitive information include but are not limited to personal information or opinions on your health, criminal record, sexual preferences, religion, political views etc. Sensitive information can only be recorded if it is relevant to do so and with your consent. Generally, sensitive information is not considered relevant to the assessment of tenancy applications or to the provision of most real estate services or contracts. Where you have requested a service, the company collects your personal information where it is necessary primarily to identify you or your business entity and to assess and establish the service/s you have requested. You need not give personal information about yourself that may be requested by us to supply our services. However, without that information we may not be able to carry out our responsibilities to our Principals (Property Owners) and/or provide the services you requested. The company collects your personal information and uses the information to provide services requested by you. We may use your personal information for related purposes, such as credit agency references and tenancy references in accordance with National Privacy Principles. Your personal information may also be used to complete internal business functions such as auditing, management reporting, research, product development and planning. The company may also use and disclose your personal information to complete business functions within the company such as internal auditing, performance reporting, research, product development and planning. You may advise us at any time if you do not want to receive information about these products and services. This does not preclude you from being provided with information about terms and conditions, statements and other information specific to your existing accounts or services. The company must ensure your personal information collected, used or disclosed is, at all times, accurate, complete and up to date. You should advise us immediately when you become aware that any information we hold about you is incorrect or out of date. We undertake to amend our records as soon as practicable subject to the validity of the request being confirmed. The company will take all responsible steps to protect the personal information it holds from misuse and loss and from unauthorised access modification and disclosure. Your information may be stored in paper or electronic format. Security measures implemented with respect to our IT systems will take account of internal and external recommendations, general industry practice and technological development in the provision of IT security services. Other than statistical information we do not collect information about you through our website other than where you provide it. The company has a policy and an internal Operations Manual that describes our information handling practices. Information in this statement gives you an overview of how we manage your personal information and your rights under the Act. You are entitled to access personal information we may hold about you. The type of information that you may request is your personal information as well as comments, opinions and file notes that the company holds about you. We will process your request within a reasonable time, generally seven days for a simple request. More complex requests may take longer. There is no fee for lodging a request for personal information and proof of identity is required. However, the company reserves the right to recover reasonable costs associated with processing the request. You will be advised of the cost, if any, before we proceed. The company is not required to provide you with access to your information in some cases, i.e. where the law allows us to deny access. If we deny you access to your information you will be advised the reason why. A request to access your personal information must be directed to the Licensee. You may ask the company to correct personal information we hold about you at any time. The company undertakes to correct the information within a reasonable time provided it is satisfied as to the validity of the request being confirmed. If the validity of the request cannot be confirmed by the company you will be advised that we have not acted on it and the reason why. If the company disagrees with your request to correct information it holds, you have the right to request a statement be held with the information noting your disagreement. Identifiers are unique numbers that a Commonwealth Government agency has assigned to you such as Medicare and Tax File Numbers. By law, an organisation must not use government identifiers as its own identifiers for individuals. The company is sometimes required to collect identifiers such as Driver’s Licence, Passport or Credit Card details for the purposes of identification and the security of the properties under our management. You may choose not to provide these details but we may then not be able to provide you with the service you request. In complying with the National Privacy Principles the company will allow its customers and clients in interact anonymously wherever it is lawful and practical to do so. If it is necessary to record sensitive information (such as health related information), we must obtain your specific consent to collect that information. Sensitive information is not generally required for most of the services we provide. You are entitled to access any information we record. In addition to questions that the company may ask to ensure general statutory compliance there may be special circumstances where the company or its agents are required to seek additional information about you. The company may also be required to pass on personal information to Statutory Authorities under the provisions of various Commonwealth and State Government Acts, i.e. Australian Bureau of Statistics, Valuer General’s Office, Australian Taxation Office etc.